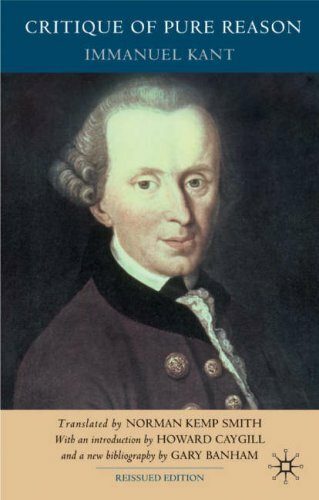 This text follows the second edition of 1787 of Kant's 'Critique of Pure Reason', and a translation is also given of all first edition passages which in the second edition have been either altered or omitted. For this reissue of Norman Kemp Smith's translation, Howard Caygill has contributed a new preface. Gary Banham is the Managing Editor of Kant Studies Online, an electronic journal, and an independent philosopher. He is the co-editor of The Continuum Companion to Kant (2012) and author of three books on Kant: Kant's Transcendental Imagination (2006), Kant's Practical Philosophy (2003) and Kant and the Ends of Aesthetics (2000). Howard Caygill is Professor Of Modern European Philosophy at Kingston University London, UK.